Five years and 4 days ago we posted the Burton Custom Flying V Review http://youtu.be/_nh8vEx8oMg. It’s great to say we’ve come a long way since then. Moving operations from Stevens Pass, WA to Timberline, OR and getting the best test crew anywhere has made all of the difference. While this year was park-focused because of the poor NW snowpack, we still got it all–pow, all-mtn, park and everything there isn’t a name for. 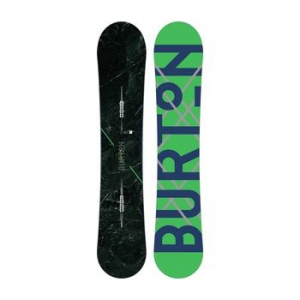 The 2016 Burton Custom Twin snowboard has asymmetrical core and side cuts. Which means there is a heel side and a toe side. As Tyler says, Burton has dialed in the Custom’s sidecut so you’ll feel super comfortable the moment you step onto it. We were able to take it all-mtn plus spend a ton of time in the park. About 3/4 of the way through testing it we cracked the core halfway between the bindings and tip. It is not unusual for Board Insiders to break 2-3 boards per season, partly because we get preseason prototypes and partly because we truly test the boards. In this case it is unclear how it cracked, but it coincides with what was probably an extra heavy landing. Bottom line, it’s poppy and in our opinion it’s made for the hard charging all-mt/freestyle rider who pushes it fast and goes big. For the details make sure you watch the full review video. The Custom’s picked up a few tricks over the past 20 years, including the freestyle freedom of this twin-tipped offering. 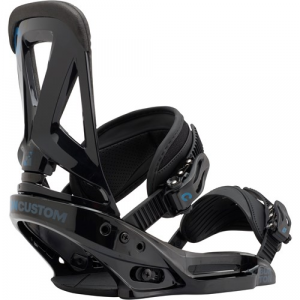 Aligning the Custom Twin’s Squeezebox core profiling and Frostbite Edges with the typical park rider’s stance, Off-Axis unlocks natural flex, edge hold, and buttery smooth control. The second-nature steering and substantial weight-savings of Carbon Highlights and a slightly narrower and more responsive true twin shape round out the high-performance package. The precision and stability of camber is the top choice for pros like Marko Grilc, while Flying V™ combines camber’s power with the relaxed float of rocker for the best of both worlds.